Remember that time you brought Play-Doh to the beach and it ended up getting all gritty? That's kind of what's going on here. 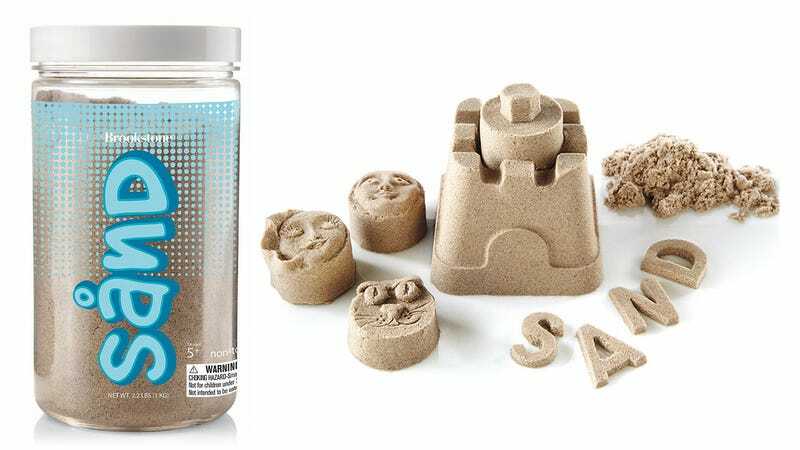 Except Brookstone's creation is actually 98 percent sand mixed with a non-toxic polymer that keeps it perpetually moist and moldable.